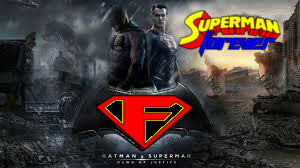 In episode 93 of the Superman Forever Radio podcast Bob Fisher takes a closer look at the Batman v Superman SDCC trailer. Bob also catches up with the TRUTH storyline in Action Comics 42 but mostly he talks about the Batman v Superman: Dawn of Justice trailer and gives his opinions of the trailer and what may be in store for the movie itself. Is Bob looking forward to the movie or are his feelings about the movie the same as his feelings for the current storyline in the comics? Listen now to find out!